In any case, he’s experience strange changes which of course concern his Uncle Ben (CLIFF ROBERTSON) and Aunt May (ROSEMARY HARRIS) who are Peter’s guardians after his parents were killed years ago, although the film doesn’t broach that part of his life at all. So with these powers comes responsibility, a term by his Uncle he takes to heart especially after Ben is murdered during a robbery. 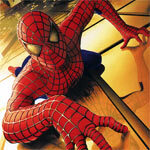 So now Peter becomes the web-slinging vigilante known as Spider-Man. 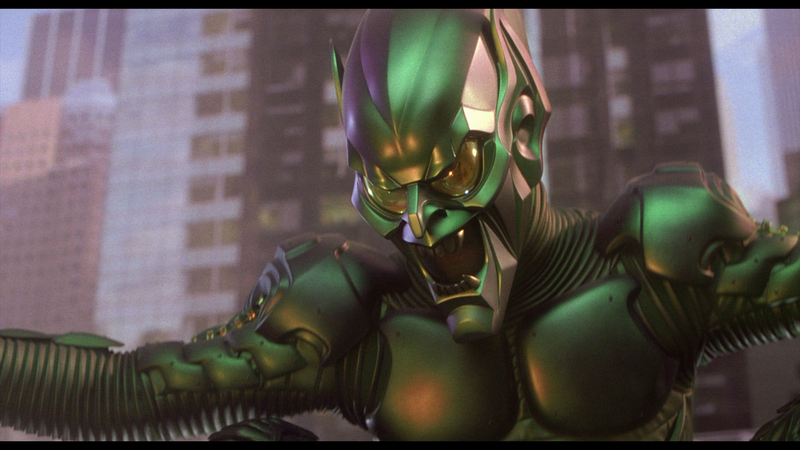 Spider-Man’s first challenge: Creepy corporate executive Norman Osborne (WILLEM DAFOE) who, in desperation to hold on to his company, uses a serum, developed to create super soldiers for the military, on himself with dark psychological side effects resulting in his evil alternate personality, Green Goblin who has it out for Spidey and those around him when he learns the man behind the mask. 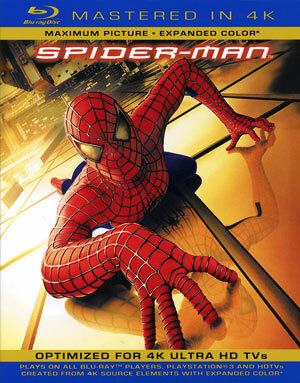 Quick Hit Review: 2002’s Spider-Man used to be in the upper echelon on my list of superhero movies but over the years has slipped down for one reason or another (one being better movies, such as Batman Begins, The Dark Knight, Iron Man, etc., being produced). 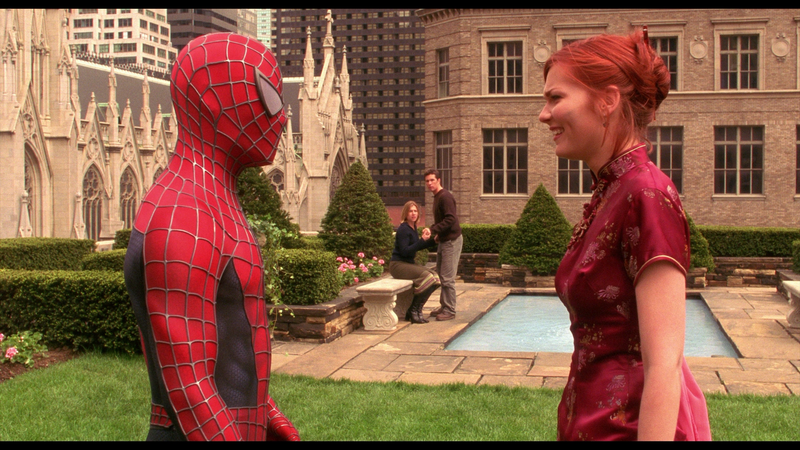 The acting is OK although outside of Spider-Man 2, I didn’t really care for Tobey Maguire as Spidey; Willem Dafoe hams it up although he was at least fun to watch; James Franco was a twerp; and lastly Kirsten Dunst, while a looker, just didn’t give a good performance. On the plus side, the action seems well coordinated, the costume design for Spider-Man is well done and although indeed Green Goblin’s costume is a bit ridiculous, I didn’t hate it as much as others. 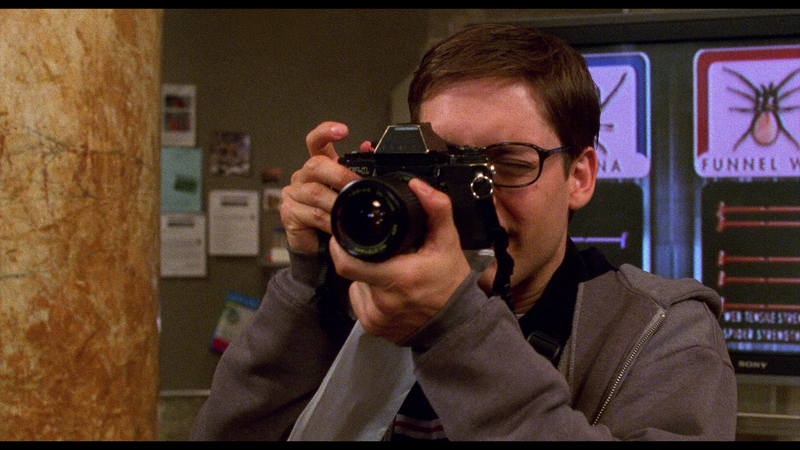 Back then, when Sony hired Sam Raimi, it was an odd choice given his previous film history which included The Evil Dead, Darkman, Army of Darkness and the great crime-thriller, A Simple Plan, so to hand him a then multi-billion dollar franchise was eye-opening and even though it never quite reached its full potential, Spider-Man was at least a satisfying action adventure in spite of all the problems. Due to disc space, or lack thereof, none of the features from the original Blu-ray were ported over. However, there is an UltraViolet Digital Copy download code. 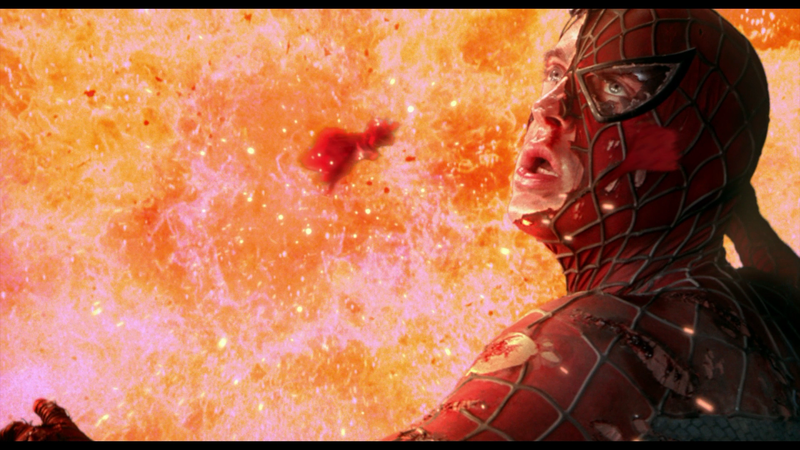 Sony releases Spider-Man on Blu-ray with a 4K master. Having seen the original Blu-ray release and comparing it with this, there is a noticeable difference and uptick in clarity. Colors are more vibrant, such as Mary Jane’s red hair, and the detail levels phenomenal like the textures of Spider-Man and the Green Goblin’s respective suits. The video itself also features a fine grain or noise levels which does add to the quality. 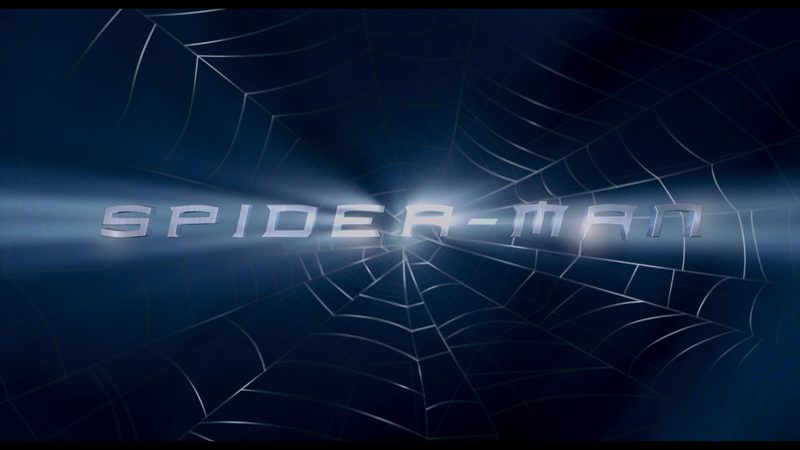 One of the perks of the initial Spider-Man Blu-ray is with the audio. The disc includes a strong Dolby TrueHD 5.1 track which is aggressive yet even keeled throughout. Danny Elfman’s opening theme sounds incredible while dialogue levels are crisp and clear and the numerous action sequences are strong and expansive. Overall, Spider-Man is an OK superhero movie, satisfying enough debut for the web-slinger but that’s not to say it didn’t have more than one flaw. As far as this new re-release goes, the “Mastered in 4K” transfer is wonderful providing rich video and audio transfers but unfortunately, as with the others, none of the features have been ported over and the cost, while only $15 (at the time of this writing), it’s really not worth the upgrade at this point.